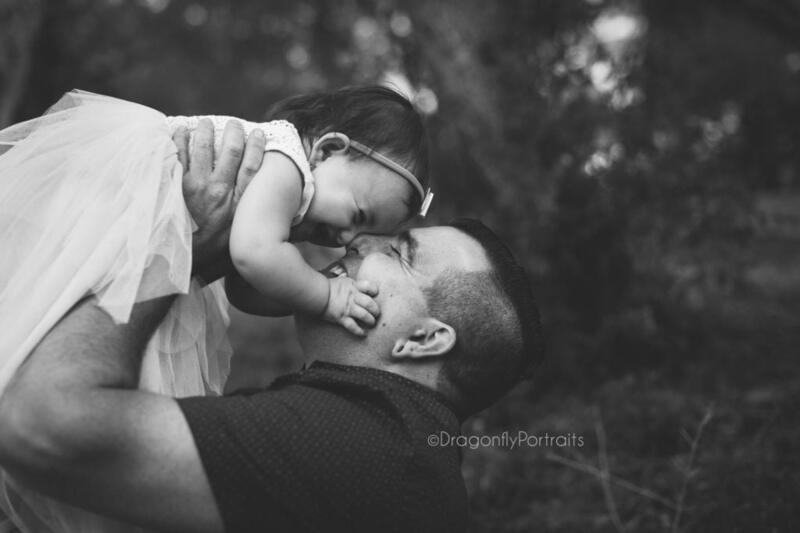 Meet little Imogen and her Dad Ben. Ben’s daughter Imogen has been going down a very tough road since she was around 3 weeks old. 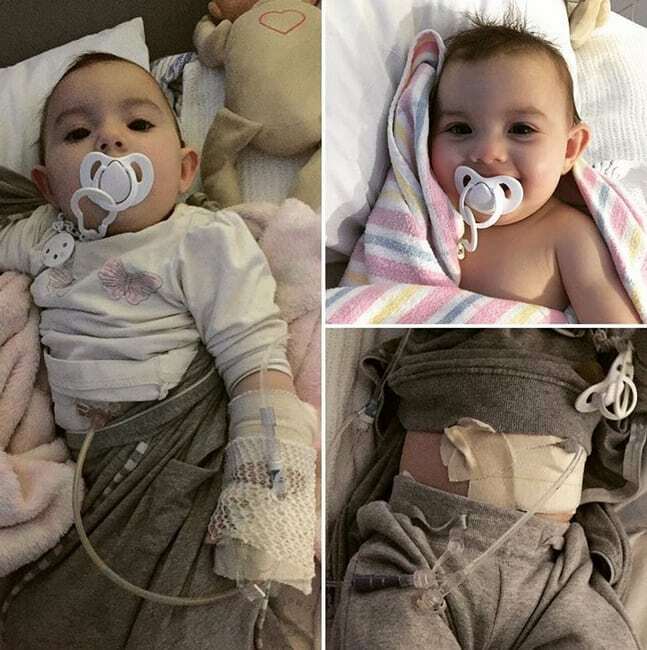 Little Imogen was born with a gastrointestinal disorder called ‘gastroparesis’. Gastroparesis is a condition that affects the normal spontaneous movement of the muscles (motility) in your stomach. Ordinarily, strong muscular contractions propel food through your digestive tract. But if you have gastroparesis, your stomach’s motility is slowed down or doesn’t work at all, preventing your stomach from emptying properly. Gastroparesis can interfere with normal digestion, cause nausea and vomiting, and cause problems with blood sugar levels and nutrition. Imogen also has other diagnoses; severe gastroesophagael reflux disease, allergic colitis, dysphagia, severe oral aversion and sensory issues. All of these diagnoses affect her ability to eat and drink which is why it was necessary to insert a feeding tube. When Imogen was 3 weeks old when a NG (nasogastric) tube was inserted through her nose, past her throat and down into her stomach. 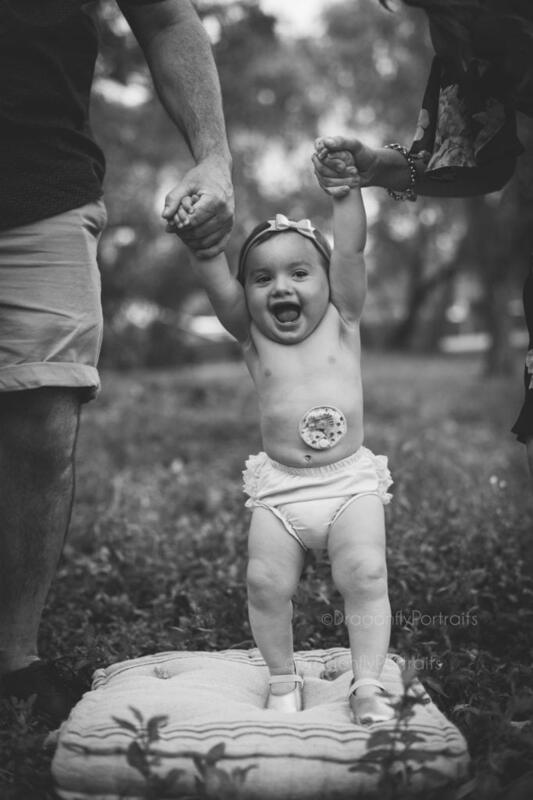 She received all of her nutrition this way until she was 7 months old when she had her first gastrostomy surgery to insert a PEG (percutaneous endoscopic gastrostomy) tube, which is a tube that passes through the abdominal wall into her stomach. She actually had this surgery three times due to complications with the first two PEG tubes. She now has a PEG button which sits discreetly under her clothing, just above her belly button and is how she still receives all of her nutrition. Imogen had all her surgeries at Sydney Children’s Hospital Randwick and has been inpatient here many times too. We are so thankful for the care that has been given to her by her doctors (particularly her gastroenterology team) and her nurses. They are professional, efficient, kind and caring people who are committed to helping sick kids like her. 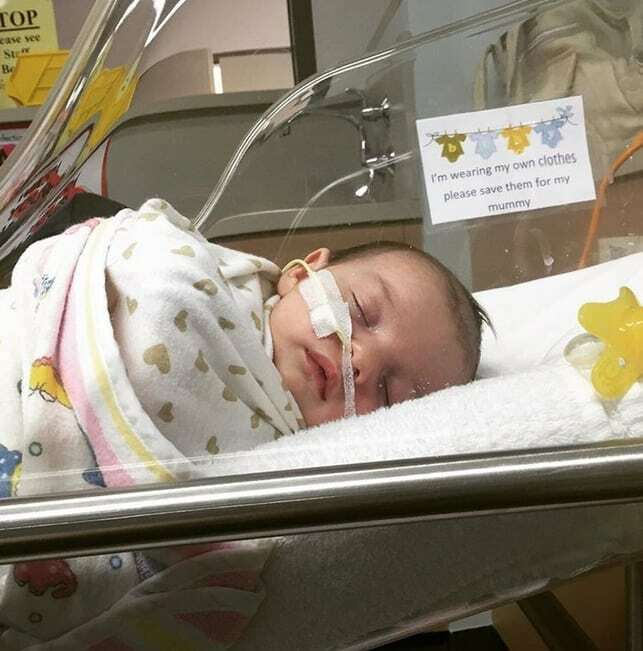 This is the reason why her father, Ben, will be participating in the hospitals annual charity bike ride to raise funds for Sydney Children’s Hospital foundation. Every little bit raised helps kids like Imogen receive the best possible treatment and hospital experience. On 5th October 2017 Imogen had her third gastrostomy surgery ?The day before we had a follow up appointment with her surgeon who placed her second peg a week prior. The surgeon noticed that her peg was moving and being pushed out from her body. It was mainly happening when she vomits, which is multiple times a day. She vomits with such force that her stomach muscles contract and were pushing her tube out. The surgeon said it was only a matter of time before her peg could dislodge….. again……. so Imogen must have emergency surgery again to replace her peg with a button. The surgeon thought the button would be a better option as the balloon should hold it in her stomach better and at least if a button comes out, they can be put straight back in without another general anaesthetic. So I was allowed to take her home that night after our appointment but had to bring her back the following morning for her surgery. The next morning we got to the hospital at 7:45am, the surgical team arrived just after 8am and she was in theatre by 8:30am. The surgery took about 30mins and her recovery was quite quick. Thankfully the button has been working well and we haven’t had any issues with it (apart from a broken valve but I can live with that!). Imogens big brother Orlando also has GERD, Allergic Colitis and Food Aversion. 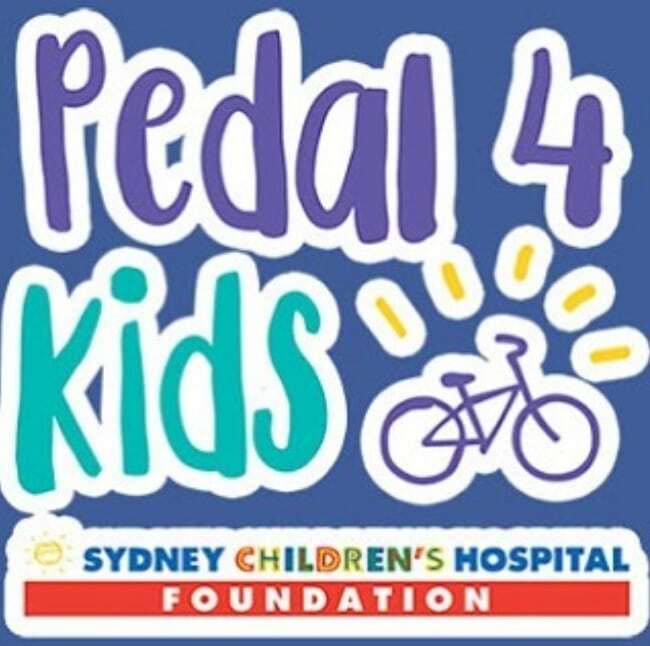 Sunday the 6th of May is Pedal 4 Kids annual charity bike ride, raising money for Sydney Children’s Hospital Foundation. 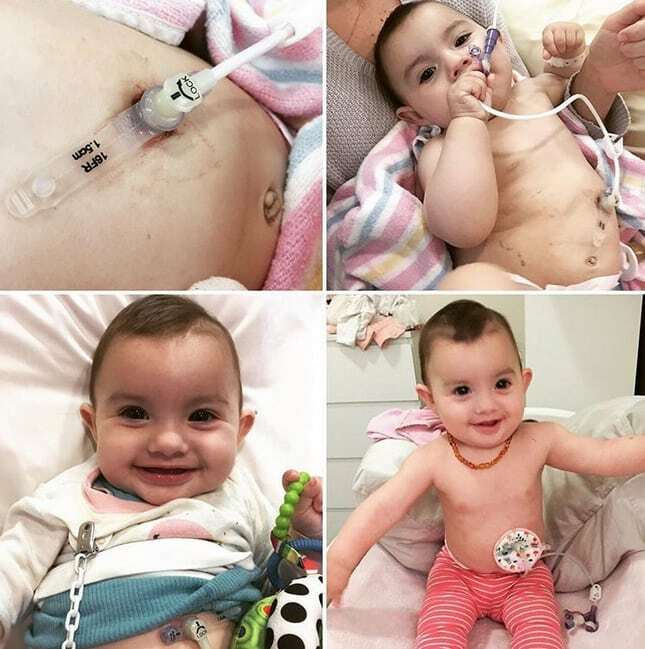 Imogen has spent a lot of time in Sydney Children’s Hospital Randwick and Melissa and Ben are forever grateful for the doctors and nurses’ dedication to helping sick kids like her. Imogens Dad, Ben will be taking part in their charity ride this year, raising funds for the hospital. 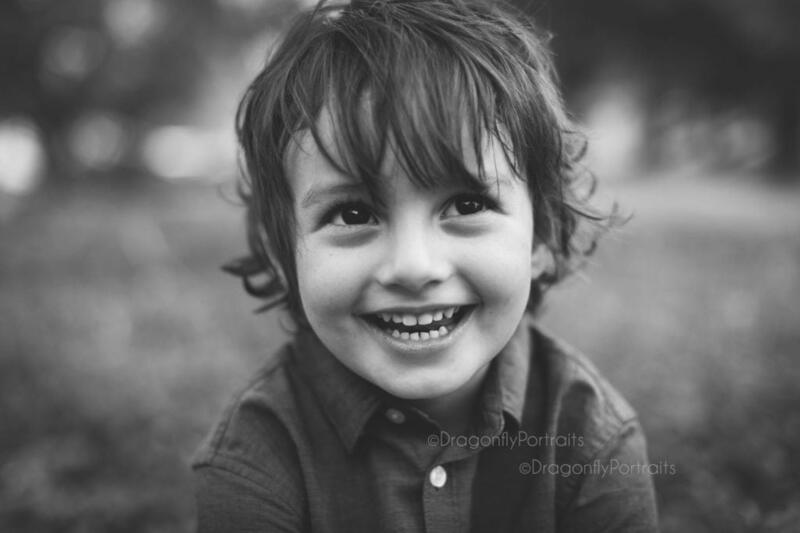 As the family photographer for this beautiful family, I have donated $100 to Ben for his ride, if you have any amount you would like to chip in, big or small, please click on the link below to donate. Every little bit is greatly appreciated to help this family from Ingleburn, in the Macarthur Region.